Dino-Soar was a tourism company run by Enrique Cardoso out of Costa Rica. Cardoso used his speedboat to travel to Isla Sorna, allowing tourists to parasail near the island and try to get a glimpse of the dinosaurs on the island. As Isla Sorna is a restricted zone, Cardoso’s company is illegal. Dino-Soar dissolved after a mysterious boating incident resulted in the deaths of Cardoso and his speeboat driver. 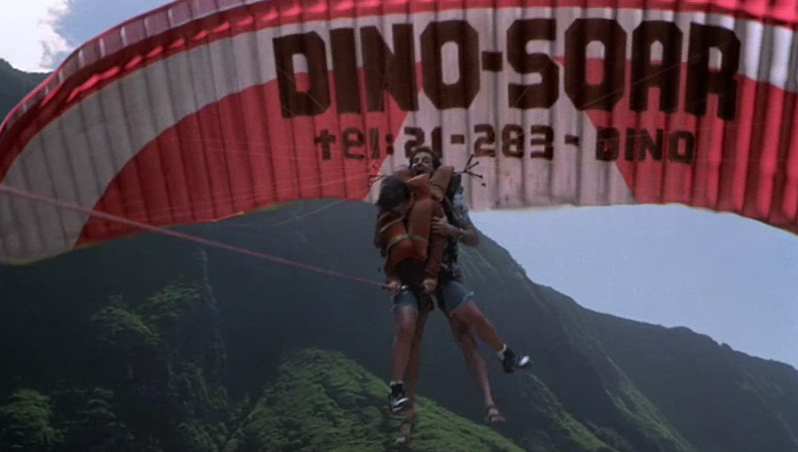 The telephone number is listed on the parasail as 21-283-DINO.